I am a mother of 4 children and I have 11 grandchildren. I have lived in Newham most of my life, bringing up my family single handed. I have just plodded along getting on with my life, not being interested in anything to do with politics: I always thought it was boring and couldn’t be bothered to listen to a load of old rubbish coming from politicians thinking they know everything. This changed when Newham Labour Council’s policies of social cleansing started to affect me and my family. My daughter Jasmin was moved into Focus E15 Hostel in Stratford in East London, when she was 7 months pregnant. The hostel was home to 100s of young people under the age of 25, all from different backgrounds and many of these young people were quite vulnerable. The rooms were very small and damp, but at least I thought, my daughter has a roof over her head and hopefully she can move somewhere more suitable for bringing up a child soon. After all there were all those lovely brand new flats on the Olympic Village sitting empty. 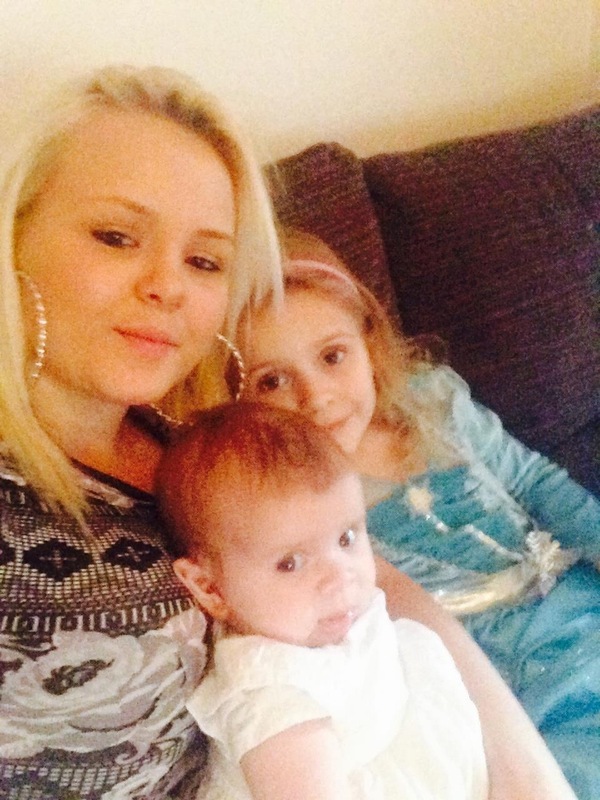 How wrong could I be: in September 2013 Jasmin and all the other 29 mothers and mothers to be, received eviction notices and were told they would have to get out because the council’s funding stream to the mother and baby unit suddenly stopped. It was scary because the Council were moving people as far as Hastings, Birmingham or Manchester. I went with my daughter and tried desperately to find something in the private rented sector, but each time we met landlords it was clear that they were not interested in housing single mothers on benefits. 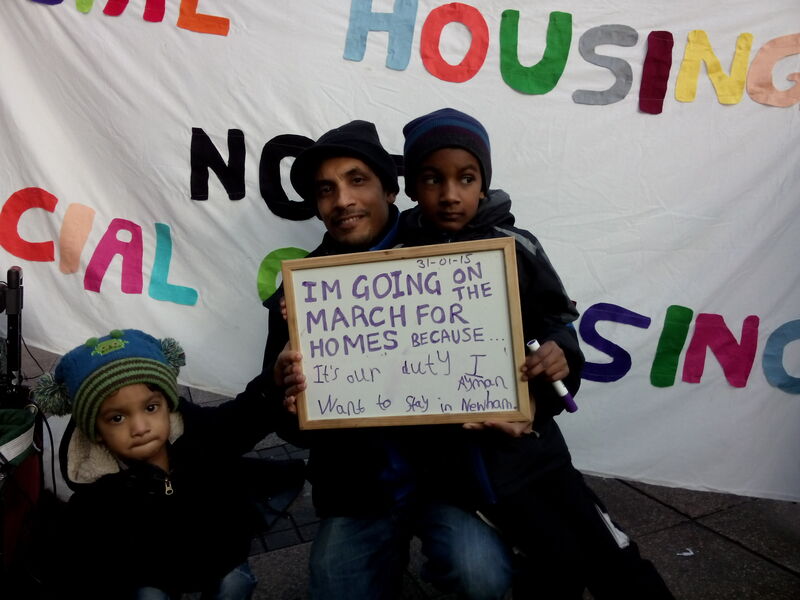 I thought, this cannot happen, I am not letting Newham Council separate my family. My daughter is not going to live hundreds of miles away from me – I would never see my grandchild. The insecurity was putting my daughter under so much stress. I started to worry about all the other mothers from the hostel and wondered how they were coping; they must do something together. I suggested to Jasmin that she should speak to the other mothers, knock on their doors and get some kind of petition going. And that is exactly what they did. A campaign was formed, supported by other organised groups like the RCG, Feminist Fightback and many talented individuals offering campaigning experience and solidarity to the mothers. I am very pleased to say that we stood up to Newham Council and made them listen and the mothers were all rehoused in London. A massive victory! For more than 3 years now Focus E15 Campaign has been going strong. Every Saturday we meet people on our street stall on the Broadway in Stratford who are going through similar housing problems, causing people much misery and stress. Why should people have to move away from their area so property developers can build sky high apartments that often stay empty? The empty homes all over the country should be repopulated now. There are even empty council homes in Stratford on the Carpenters Estate where homeless people could be rehoused. My message to anyone and everyone is you can fight back, get together in numbers. Make demands, say what you want and keep on pushing until you get what you want. I would never had dreamt in a million years that I would have been out on the street making a noise and fighting for what I now realise is our right. You can do that too. Stand up to the council bullies and fight back.